Homes are increasingly getting modern. Their way of living and their idea of entertainment have changed drastically from what it was a decade ago. Homes are now rapidly witnessing change in terms of ownership, meaning that young professionals are now starting to own homes which further translates into newer styles for homes. Everything from the style of architecture, interiors to the minute details have seen a change. They may be contemporary chic or just casual in terms of theme. Something that has seen a large scale acceptance into modern Indian home is the concept of a home bar. While earlier, these were restricted to the more ostentatious households, lately, the concept has been to adapt these into all homes. You entertain friends, you may have neighbors over for a mixer or you simply have invited people for game night on the weekend. Do something exciting and host a grown-up cocktail party. Hey, congratulations! Now that you’ve decided to build yourself the perfect home bar, all you need to know is what accessories to stock and what kind of liquors to buy and you’re set! So, if you’re thinking of buying barware online, the following accessories are to be bought at any case. 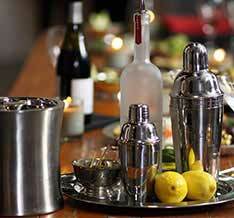 Shakers: To make martinis or other such cocktails, what is the one thing your hand will look for every time? A cocktail shaker, of course! There are cocktail shakers of all sizes and some of them even have strainers attached. 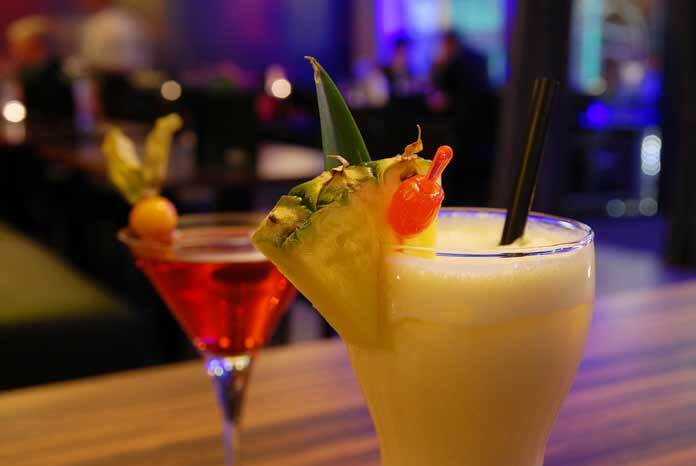 There are two major criteria which you should be followed in order to choose the right cocktail shaker. First, choose the size according to the amount of cocktail you want to churn out in a single try. Then, choose between a classic shaking tin with a mixing glass combo and a three piece set with a strainer cup. Stainless steel shakers can be sourced under the category barware online in India. Muddler: These are important when you make cocktails like mojitos, which may need a little muddling to have its ingredients release their oil and aromatics. A good muddler will help you add a new dimension to the drink. A wood muddler will work best, in our opinion. Jiggers: Now, this is something that you’ll need only if you’re really serious about mixing cocktails and having your own home bar. These are used for measurements and will help you take your cocktail to even greater heights. Precision can make your drink perfect. Bottle openers: This is an absolute essential. After all, do you expect your guests to open their own beer? No, you don’t! You can get a permanent wall-mounted bottle opener or you can just choose to have one in your bar drawer. Strainers: In case you choose the classic two piece shaker, strainers are something that you’ll need. If you don’t have a home bar yet but are inspired to have one built, buy barware online on sites such as Arttdinox. Shubhi Gupta is a freelance author and writes for a variety of online publications. She actively writes blogs and articles and very fond of writing content on different trendy topics related to Education, training,resources,health and technology.